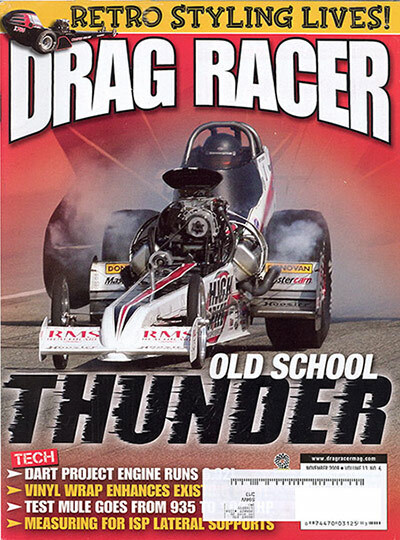 High Speed Motorsports is proud to announce that their NHRA World Championship Nostalgia Top Fuel dragster graces the currently cover of drag racings premier magazine - Drag Racer. The November 2009 issue that hit newsstands and mail boxes this week (09-17) also has a great feature story about the team - "Going Green" (Champs Become the Target) with more great photos. If you are not a subscriber, pick up an issue at your local media outlet today!